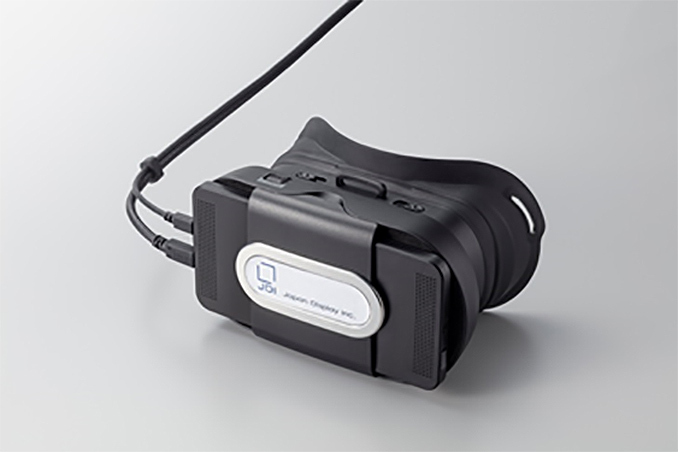 Japan Display (JDI) has developed its own tethered VR headset, which features 3-degree-of-freedom (3DoF) positional tracking and is aimed primarily at businesses interested in providing VR entertainment. The VRM-100 device will initially be available to software developers, but it remains to be seen whether other parties will get interested in JDI’s hardware platform. JDI’s VRM-100 relies on a 5.35-inch LCD display featuring a 2880×1600 resolution, 615 PPI, and an 80 Hz refresh rate (with a 60 Hz auto cutover). The device is equipped with a gyroscope and a geomagnetic sensor for 3DoF, stereo speakers, and has HDMI as well as USB 3.0 interfaces to connect to PCs. The device has detachable VR goggles (which looks like a page from Google’s ‘Cardboard VR’ book), which is important for usage of VR gear in public places as wearables need to be cleaned often. 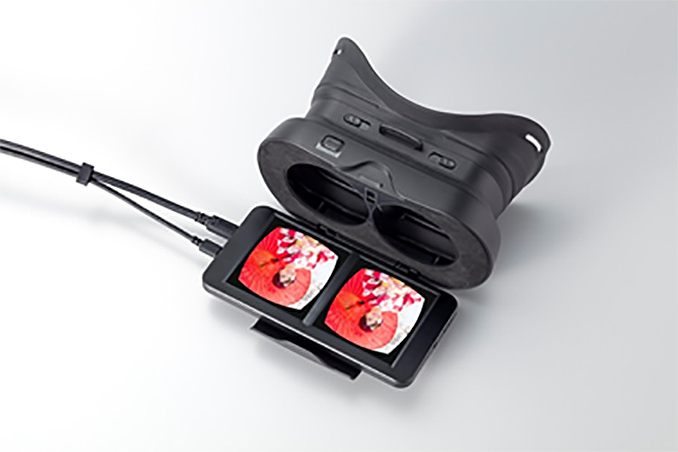 Right now, JDI’s VR head-mounted display (VRHMD) can be used to watch 360-degree videos and consume similar content. Over time, Japan Display plans to provide a driver for Unity Open VR, enabling developers of software and other content to design titles for the platform. Since there are no programs that specifically support the VRM-100 and the HMD will ship without any controllers, JDI has no plans to offer it to the end-user. In fact, since the company lacks any expertise in controllers, the most logical way for Japan Display is to make its platform compatible with controllers designed by others. Furthermore, since JDI’s business is all about selling displays, it may be more interested in offering its design to third parties and enable them to market it with certain value-adding features. JDI will start selling its VRM-100 HMD on December 3. The device will be available to select Japanese developers only.